The punches and chisels in this 5 piece set are specially heat-treated to provide a hard working end and softer striking end to avoid chipping. All Gray punches and chisels are made from the highest quality materials for maximum tool life. Made in Canada and backed by Gray Tools worry-free lifetime warranty. 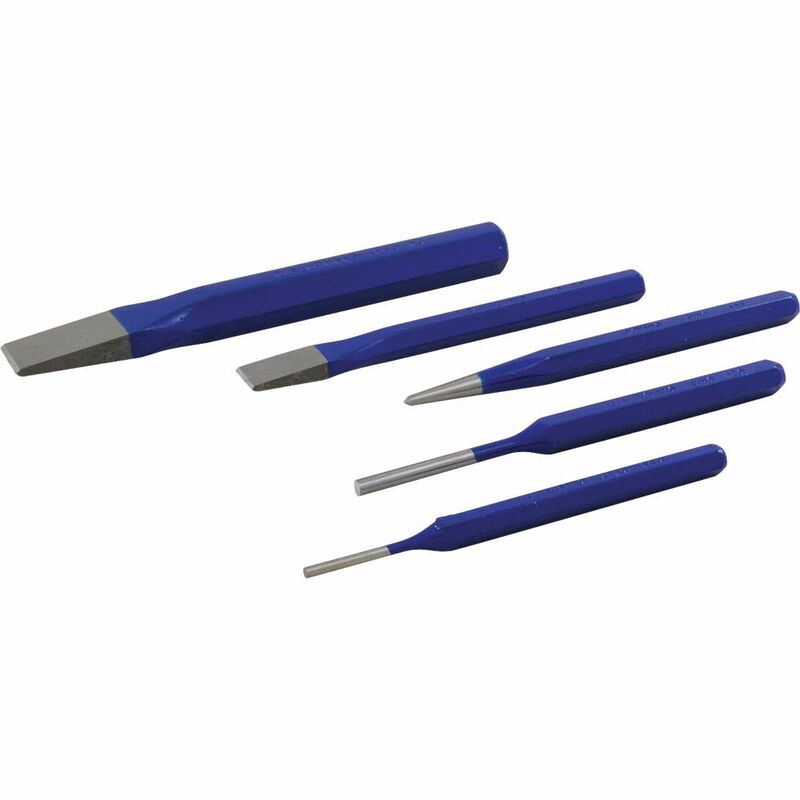 Contains: : 1/2" & 2/4" Flat Chisels, 1/8" & 3/16" Pin Punches and 3/8" Centre Punch. The pry bars in this 3 piece set are forged from premium alloy steel. Gray pry bars are specially heat treated for maximum durability. Made in Canada and backed by Gray Tools worry-free lifetime warranty. The aviation snips in this 3 piece set feature heat-treated blades for a hardened cutting edge that resists wear from intense repeated use. Color-coded handles make identifying the needed snip quicker and easier. Made in Canada and backed by Gray Tools worry-free lifetime warranty. 5 Piece Punch And Chisel Set The punches and chisels in this 5 piece set are specially heat-treated to provide a hard working end and softer striking end to avoid chipping. All Gray punches and chisels are made from the highest quality materials for maximum tool life. Made in Canada and backed by Gray Tools worry-free lifetime warranty.